Facts about Inhalants: What are inhalants? The term "inhalants" refers to chemical vapors or gases that produce a "high" when they are breathed in. Most of the substances used as inhalants, such as glue, gasoline, cleaning solvents and aerosols, have legitimate everyday uses, but they were never meant for human consumption. Inhalants are cheap, legal and easy to get. They have a high potential for abuse - especially by children and young adults. These are the most commonly abused type of inhalants. "Volatile" means they evaporate when exposed to air, and "solvent" means they dissolve many other substances. Examples of solvents used as inhalants include benzene, toluene, xylene, acetone, naptha and hexane. Products such as gasoline, cleaning fluids, paint thinners, hobby glue, correction fluid and felt-tip markers contain a mixture of different types of solvents. Hair spray, spray paint, cooking spray and other aerosol products contain pressurized liquids or gases such as fluorocarbon and butane. 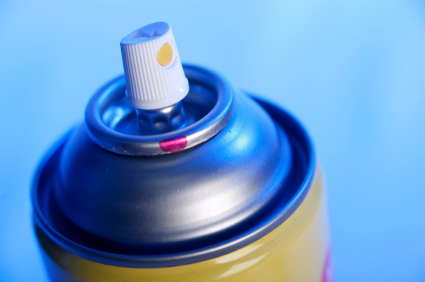 Some aerosol products also contain solvents. This includes some medical anesthetics, such as nitrous oxide ("laughing gas"), chloroform, halothane and ether, as well as gases found in commercially available products, such as butane lighters and propane tanks. Amyl nitrite, butyl nitrite and cyclohexyl nitrite (also known as "poppers") are different from other inhalants in effect and availability. They are sold as "room odourizer" or "video head cleaner." Amyl nitrite is used medically to treat cyanide poisoning; butyl nitrite is an illegal substance in the United States. What do inhalants look like, and how are they used? Solvent and aerosol products, on the store shelf, in the kitchen cupboard or in the workshop, would not be noticed by most people as dangerous drugs. When solvents are used as drugs, they are either inhaled directly from the container ("sniffed"), from a soaked rag held to the face ("huffed") or from a bag ("bagged"). Sometimes people spray aerosols into a bag or balloon and then inhale the gas. Nitrous oxide, or other anesthetic gases intended for medical use, are contained in a gas tank; nitrous oxide is also found in whipped cream dispensers. Because nitrous oxide is pressurized and can be very cold, it is often inhaled from a balloon. Nitrites are clear yellow liquids that are inhaled directly from the bottle or from a cloth.